Actions: Increases the daily limit for canary rockfish to two fish (from one) in marine areas 1 (Ilwaco) and 2 (Westport). Establishes a daily limit of three flatfish (excluding halibut), such as sole, flounder or sanddab, in all coastal marine areas west of the Bonilla-Tatoosh line (marine areas 1 – 4). The new daily limit of flatfish does not count toward an angler’s overall limit of nine bottomfish per day. Up to seven rockfish (as many as two of which may be canary rockfish). Up to seven rockfish (canary rockfish retention is prohibited). At its March meeting, the Pacific Fishery Management Council (Council) approved changes to the Washington coastal recreational bottomfish fishery for 2018 as recommended by the Washington Department of Fish and Wildlife (WDFW). Canary rockfish retention was allowed in 2017 with initial allowance limited to one fish per day in marine areas 1 and 2 only. WDFW’s recommendation to increase the sublimit from one fish to two fish per angler was based on 2017 recreational catch information. Analysis showed that canary catch was well below the federally established harvest quota and sufficient to consider changes for 2018. 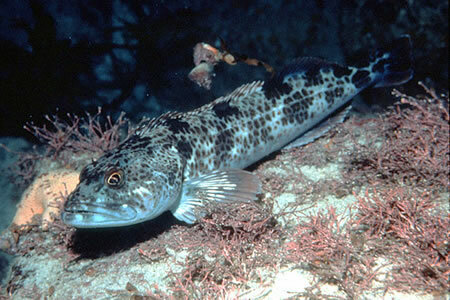 Retention of canary rockfish in marine areas 3 and 4 remains prohibited. WDFW also recommended, and the Council approved, a daily limit of three flatfish (excluding Pacific halibut) per day that would not be subject to the daily aggregate bottomfish limit, which would remain at nine. Both of these changes are intended to provide some additional recreational fishing opportunity to Washington recreational anglers. These rules conform to action taken by the Pacific Fishery Management Council (PFMC).